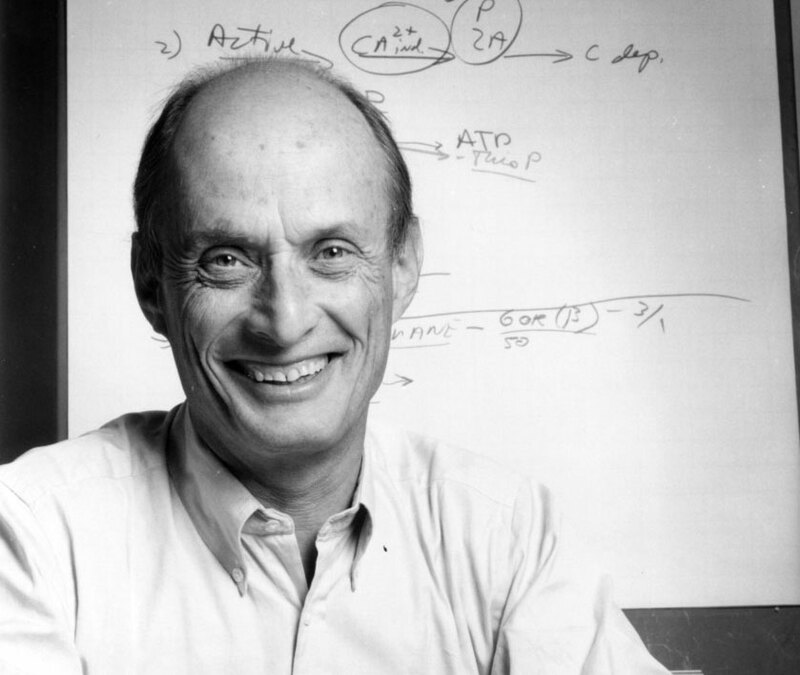 The neurobiologist Paul Greengard, a Nobel laureate, revolutionized our understanding of the communication of brain cells among themselves and contributed to great advances in the treatment of a wide range of died on the 13th of April at the age of 93 years. 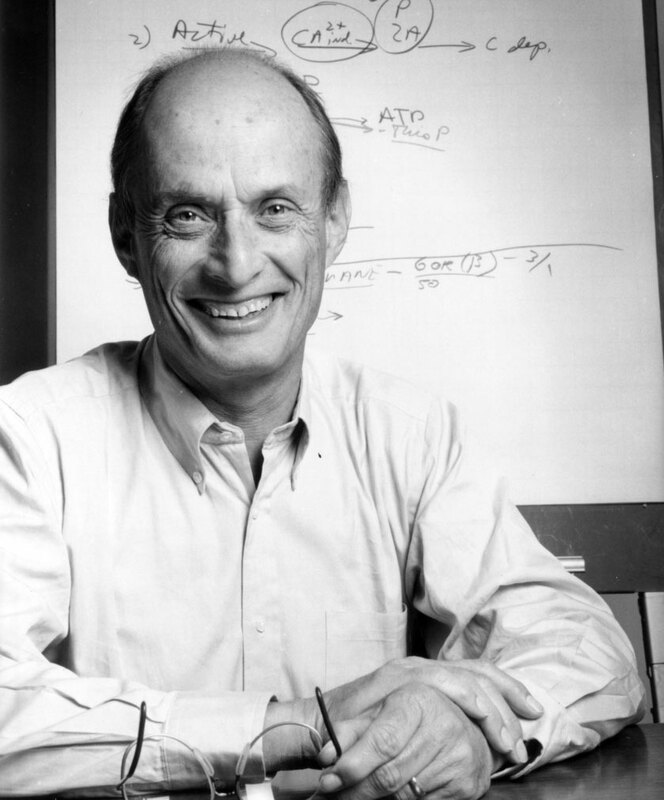 Greengard joined the The Rockefeller University faculty in 1983 and was Vincent Astor Professor and Director of the Fisher Center for Alzheimer's Disease Research. In the 1950s, scientists believed that nerve transmission was purely electrical. The nerve cells communicate exclusively via neurotransmitters, which trigger electrical impulses in their neighbors. Biologists who studied the brain were therefore particularly interested in the electrical properties of their specialized neurons or neurons. Greengard chose instead to study the biochemistry of neuronal communication. Over the course of fifteen years, Greengard has shown that this alternative signaling method, now referred to as slow synaptic transmission, is indeed the predominant means by which neurons communicate with each other – a feat that led to him being awarded the Nobel Prize in Physiology or Medicine in 2000. "Paul was an iconic scientist whose extraordinary career over the past seven decades has changed our understanding of neuroscience," says Richard P. Lifton, president of Rockefeller. "His discoveries have set a new paradigm that requires understanding of the biochemistry of nerve cells rather than just their electrical activities. This work has had a great influence. It is known that neuronal signaling abnormalities underlie many neurological and psychiatric disorders, including Parkinson's, schizophrenia, depression, attention deficit hyperactivity disorder and substance abuse. From the late 1960s, Greengard demonstrated that the neurotransmitter dopamine works by inducing the formation of cyclic AMP in the post-synaptic neuron, which stimulates downstream enzymes, called protein kinases, resulting in chemical modification of specific protein substrates and thereby their Functions modified. This signaling process is similar to the mechanism used in the endocrine system to regulate various aspects of the metabolism, e.g. As the storage of glucose in the liver. In neurons, however, this signal modulates various aspects of neuronal function, including the release of receptors and neurotransmitters. Other neurotransmitters have been found to activate similar types of biochemical pathways. And because every neuron receives neurotransmitters from many different nerve cells, Greengard's biochemical communication enables brain cells to integrate large amounts of information. After Greengard discovered in the early 1980s that most neuronal communication was actually occurring, Greengard began exploring how deviations in certain pathways can lead to various brain diseases. At the same time, he began to investigate at what molecular level the drugs used to treat these conditions reached their effects. His work has significantly improved our understanding of neurological and psychiatric disorders, paving the way for completely new classes of drugs to treat these diseases. Later in his career, Greengard explained the pathways responsible for producing the characteristic plaques that form in the brain of people with Alzheimer's disease. He also explored why some brain cells are susceptible to Alzheimer's and Parkinson's disease, while others do not – research that could lead to new therapies for these devastating neurodegenerative diseases. After obtaining a BS in physics from Hamilton College at GI Bill, Greengard hoped for a career in theoretical physics. However, the only grants for graduates in this field came from the Atomic Energy Commission, and Greengard did not want to work on nuclear weapons. "I thought there were better ways to spend my life than trying to destroy humanity," he told an interviewer. Instead, his college roommate's parents suggested the emerging field of medical physics and his course was set. An invitation from the groundbreaking biophysicist Detlev Bronk, who would later become President of Rockefeller, led Greengard to Johns Hopkins University. where he earned his doctorate in biophysics in 1953. Subsequently, Greengard spent five years in England, where he postdoctorated at the University of London, Cambridge University and the National Institute for Medical Research. After returning to the US, Greengard researched at the NIH; led the Department of Biochemistry in the research laboratory of pharmaceutical giant Geigy (now Novartis); and taught at the Vanderbilt University School of Medicine, the Albert Einstein College of Medicine and the Yale University School of Medicine. He joined Rockefeller in 1983, where he founded the Molecular and Cellular Neuroscience Laboratory and served as founding director of the Fisher Center for Alzheimer's Disease Research. Greengard and his wife used the well-known sculptor Ursula von Rydingsvard fully out of his Nobel Prize money to create a prize for outstanding women in biomedical research. Greengard named the award after his mother, Pearl Master Greengard, who died at his birth; and he hoped that would increase the likelihood that women would receive their fair share of the highest honors in science. Greengard is survived by his wife Ursula von Rydingsvard; Sister Linda Greengard; Sons Claude and Leslie Greengard and daughter Ursula von Rydingsvard; and six grandchildren: Daniel, Philip and Annie Greengard and Natasha Dolphins and Emerson Greeve. For more information on Greengard's life and research, see his own words in this video, part of the Rockefeller Oral History project.